Evelina and her sister-in-law, Sarah Witherell, sewed today: pantletts, handkerchiefs, and an item new to the repertoire: doilies. A maid named Mary did some sewing, too, but wasn’t up to the standards set by the older women. In the 21st century, we know doilies as decorative paper mats that are typically used to present special baked goods. Doilies can also be made from cloth or lace, however, and once had a broader range of applications than just accompanying tea cakes. Designed in the 17th century by a London draper named Mr. Doiley, the original item was an inexpensive woolen cloth that was used to ornament a dress. It developed into a napkin used to protect the material under it. It might be seen on a tablecloth, a sideboard, or even on the back of an armchair (where it became known as an antimacassar.) 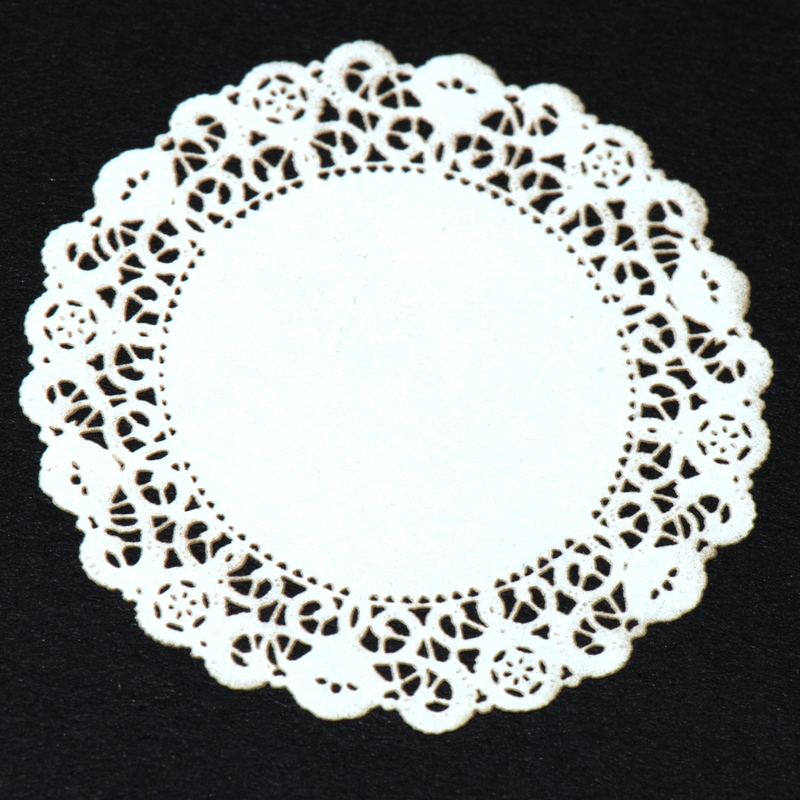 Beautifully-made doilies were a housewife’s source of pride, specially stored in the linen closet. Old Oliver, no doubt entirely disinterested in the women’s sewing agenda, reported that this “was a a fair warm day wind south west. + has bin all the week.”* Oakes Angier Ames took advantage of the good weather and, after work, headed to Bridgewater to attend a sing near the farm of Jonas Hartwell “with other gentlemen and ladies.” Who were they? Did he run into anyone of interest? I inherited some old, nicely worked dollies when I was married. I placed them around my living room and dining room appropriately only to have my friends declare, “How quaint.” I also got some in sets to place between stacked plates to keep them from chipping. I find those very useful. I wonder if any of those were passed down through the Ames family. The Ames men may have used macassar oil or another such product in their hair. Thus the need for an “antimacassar” to protect to furniture. Anna Lee – Any chance those doilies came down to you through the Ames line?